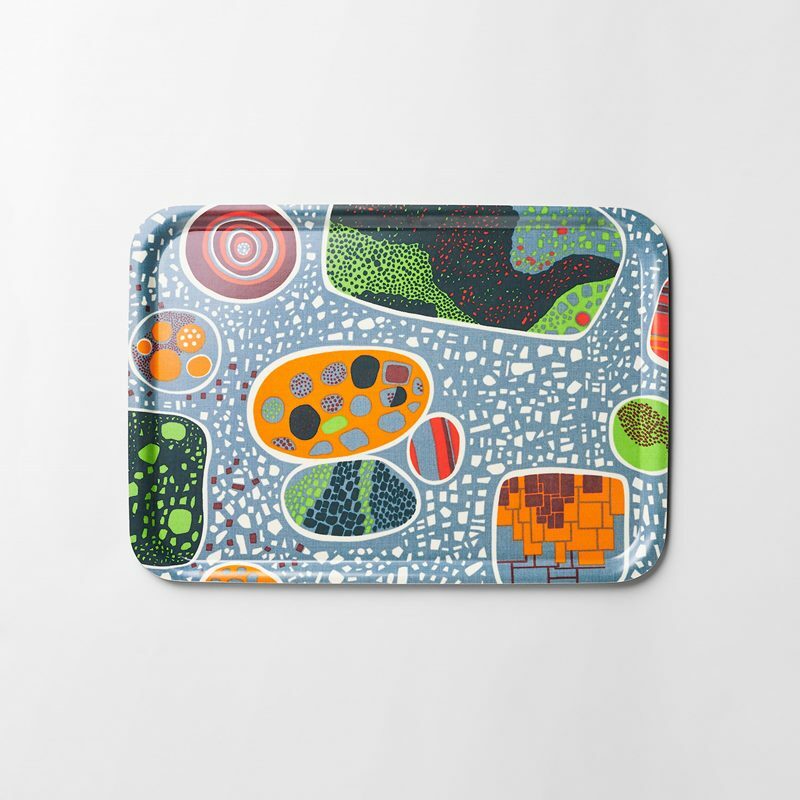 Round, rectangular, colourful and patterned. 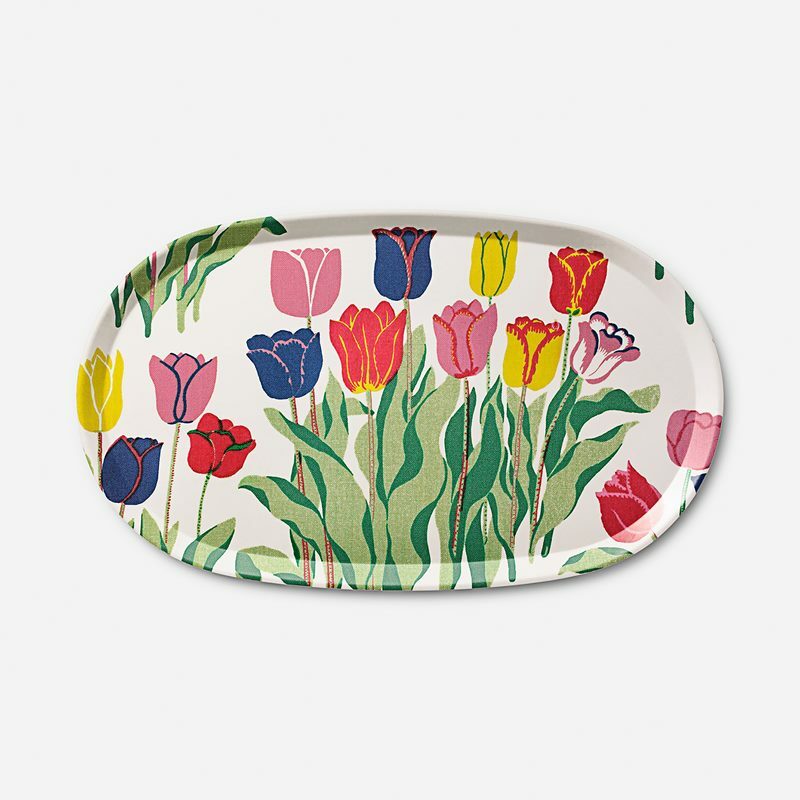 At Svenskt Tenn, you can find exquisite trays for every occasion. 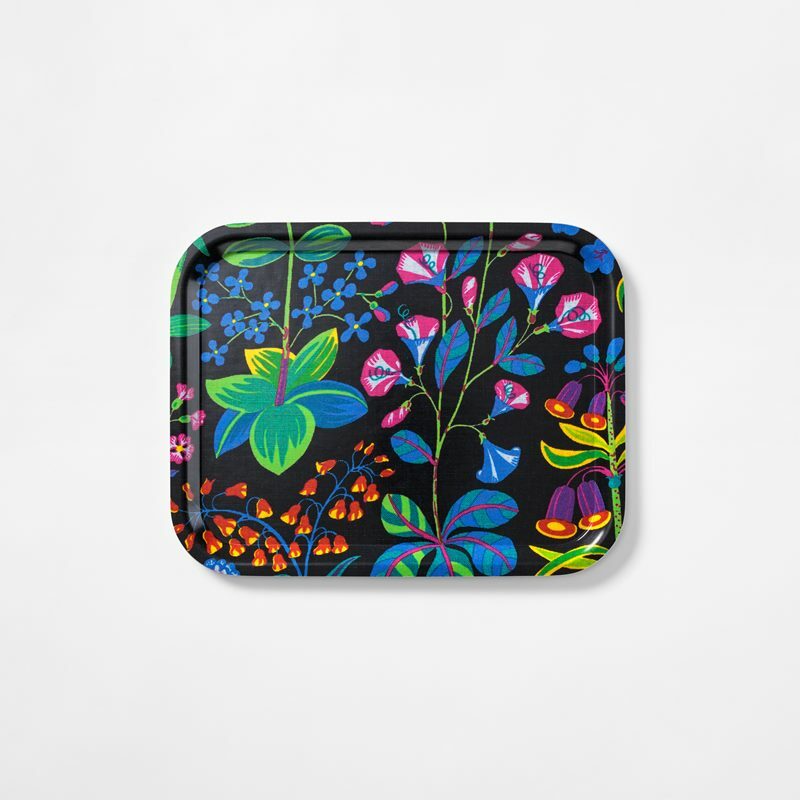 Svenskt Tenn’s trays come in a variety of different colours and styles. 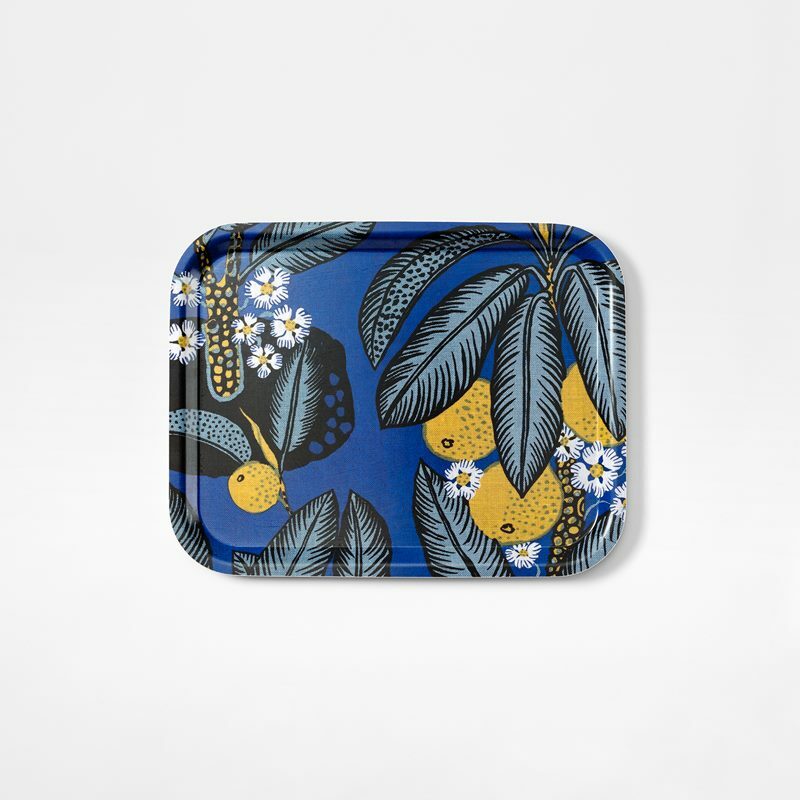 Select a tray by Josef Frank with a floral print or a laminated tray in Svenskt Tenn’s exclusive, solid linen in beautiful colours. 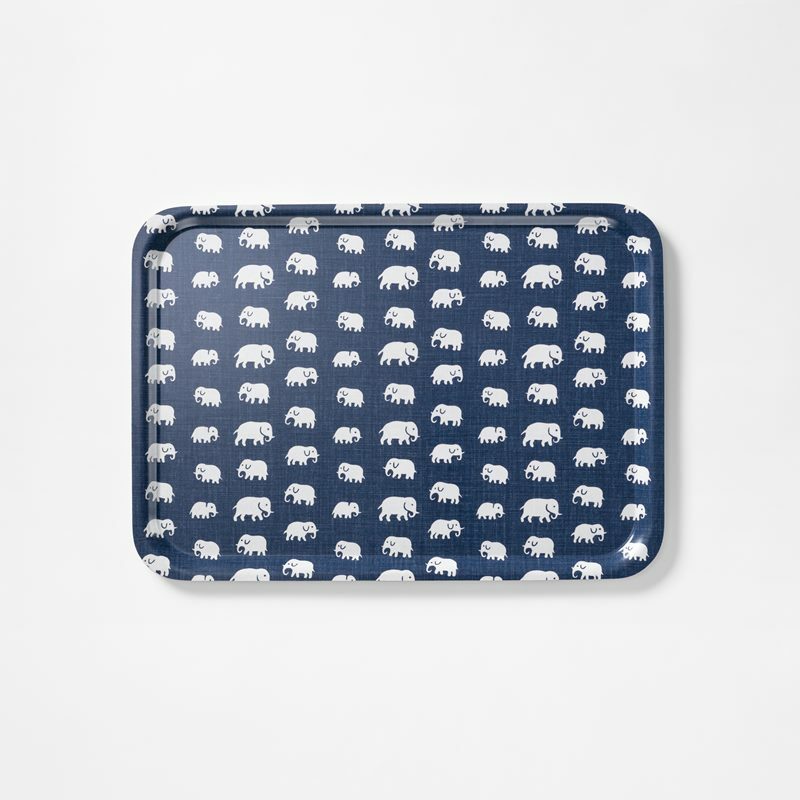 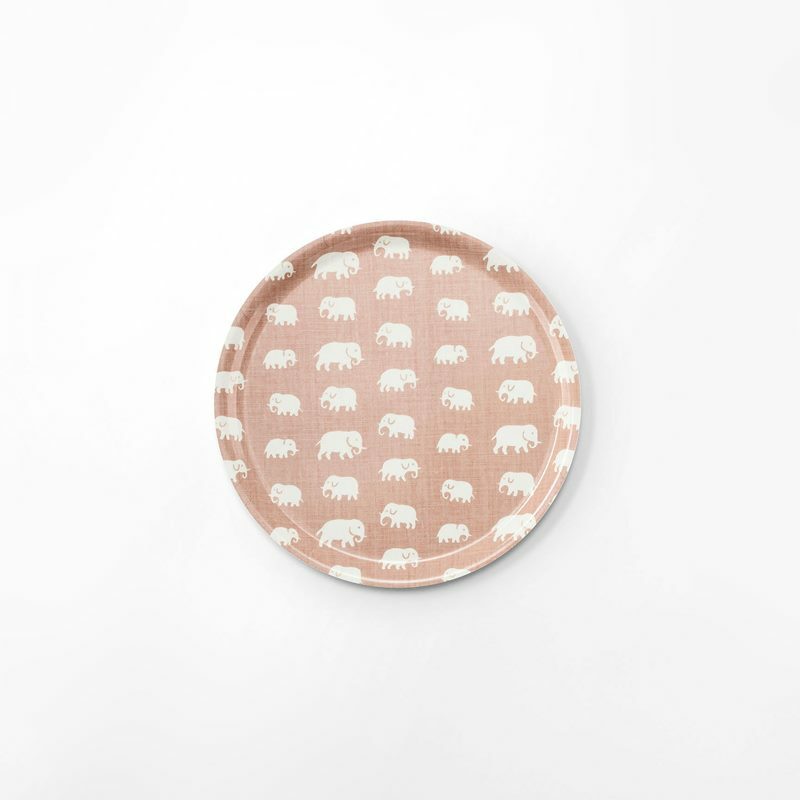 Estrid Ericson’s popular elephant tray is another option – loved and appreciated by many, just like Josef Frank’s Manhattan tray. 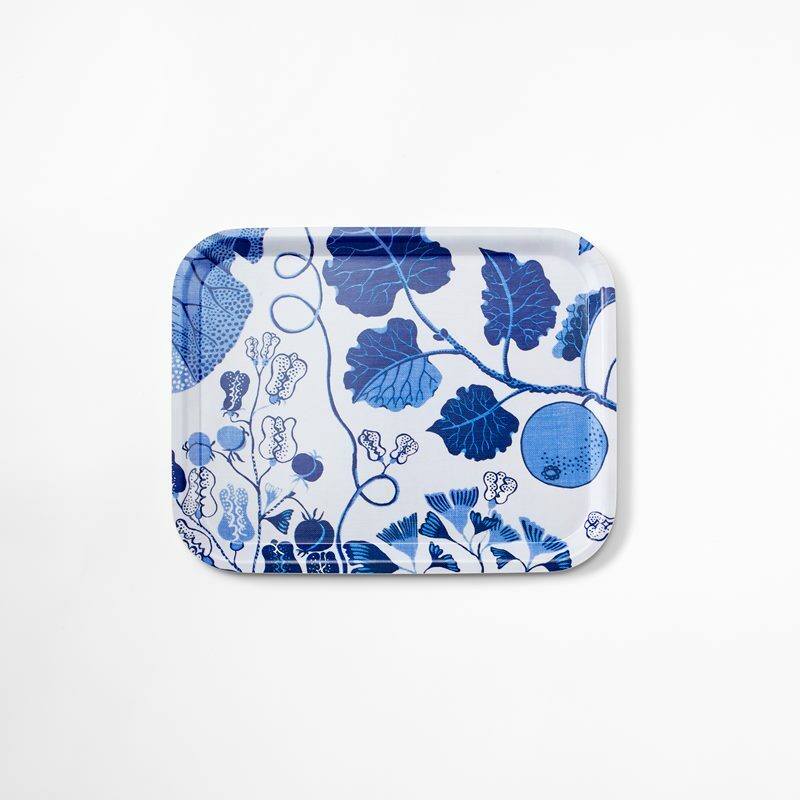 You can use Svenskt Tenn’s trays in many different ways. 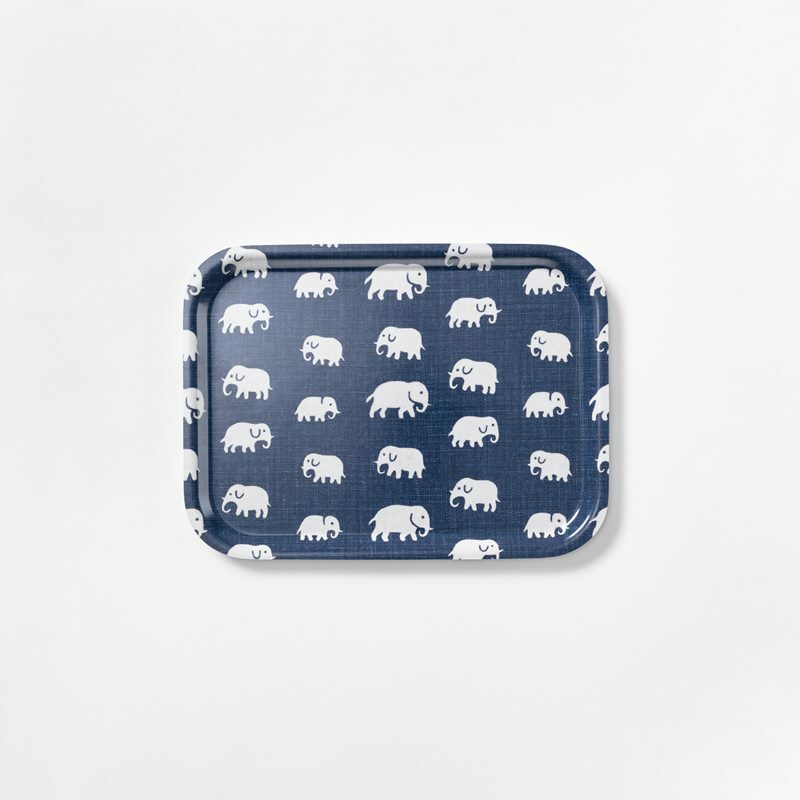 A smaller rectangular variant can be used as a breakfast tray, while a larger round tray can be used as a cheese tray or serving tray. 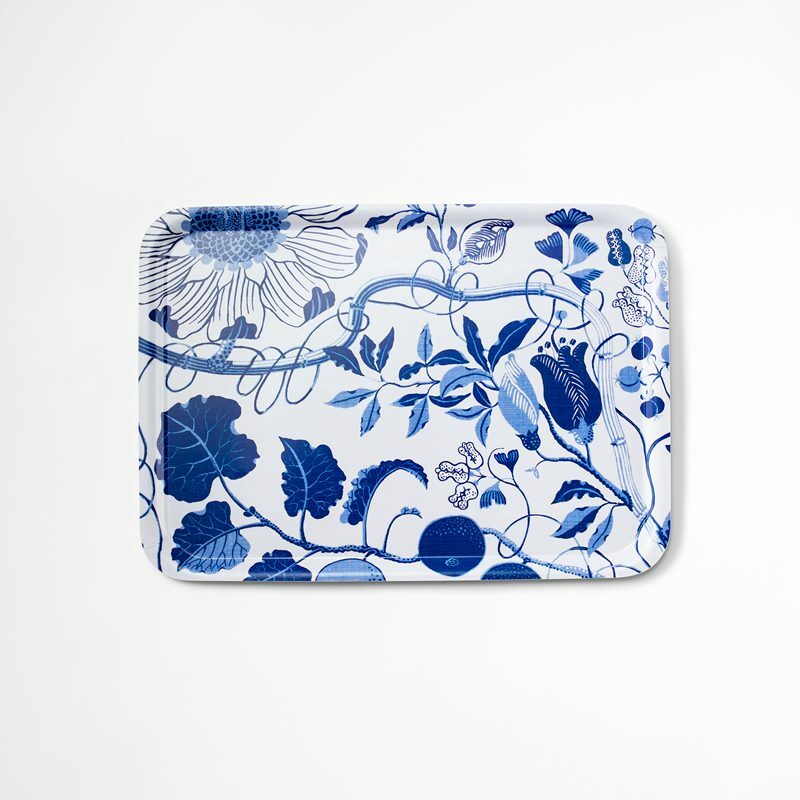 Serve a fragrant afternoon tea; scones and porcelain on a beautiful tray with a decorative botanical pattern. 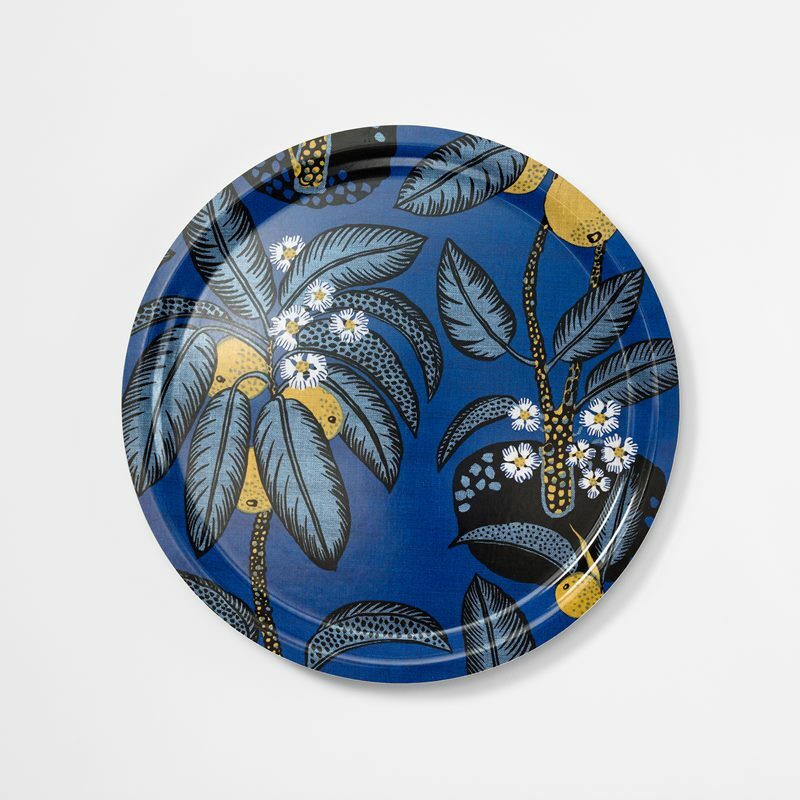 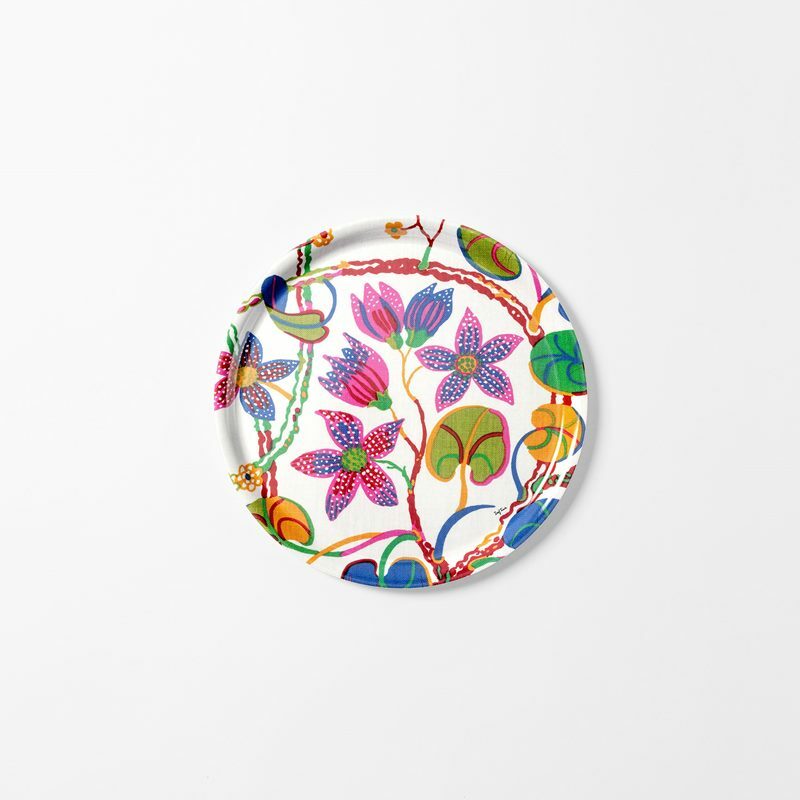 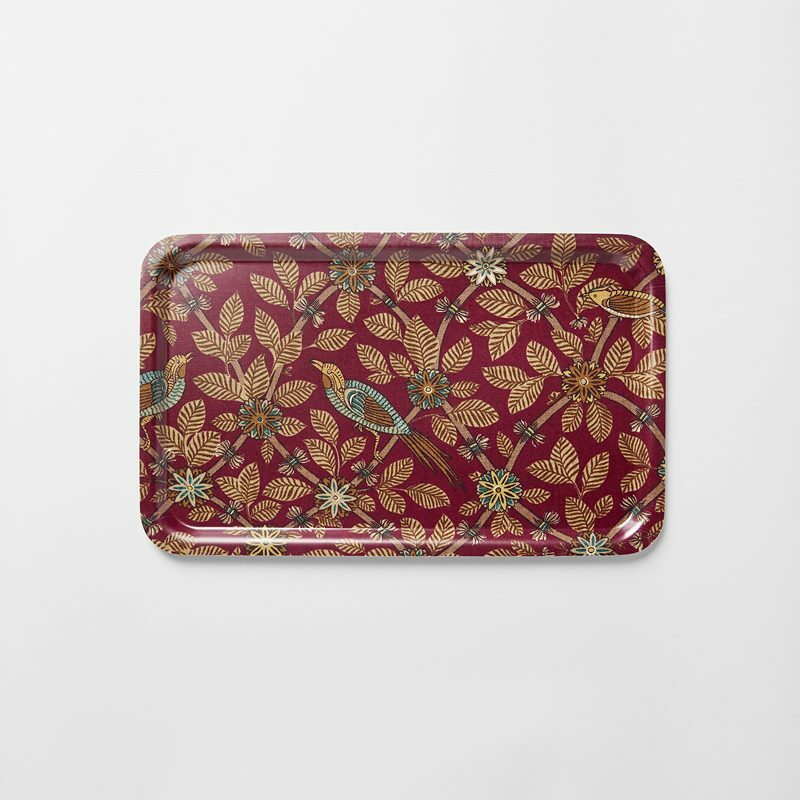 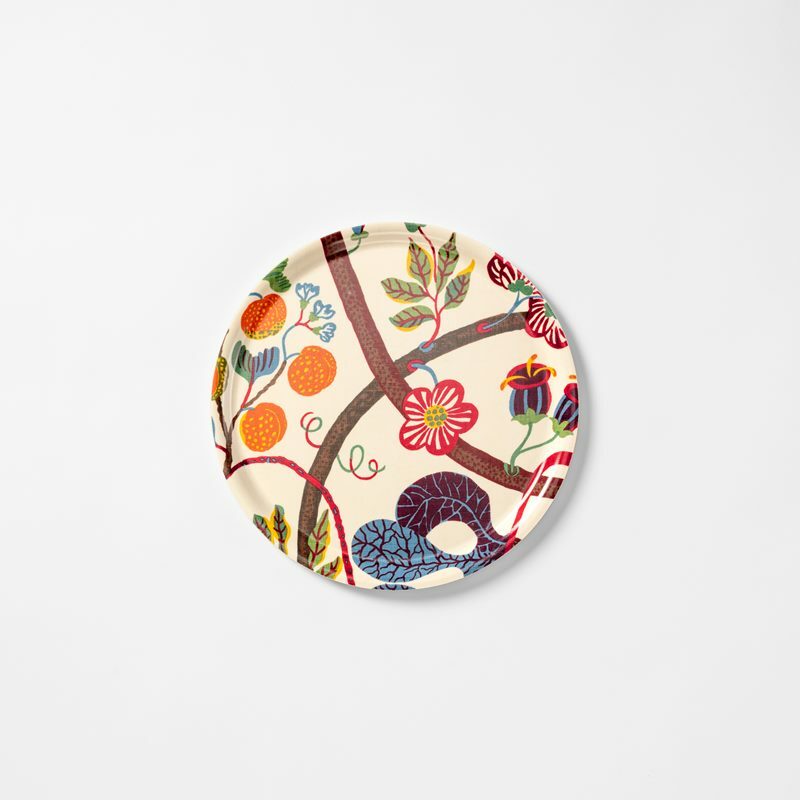 A tray from Svenskt Tenn can also be used as a beautiful detail in the interior. 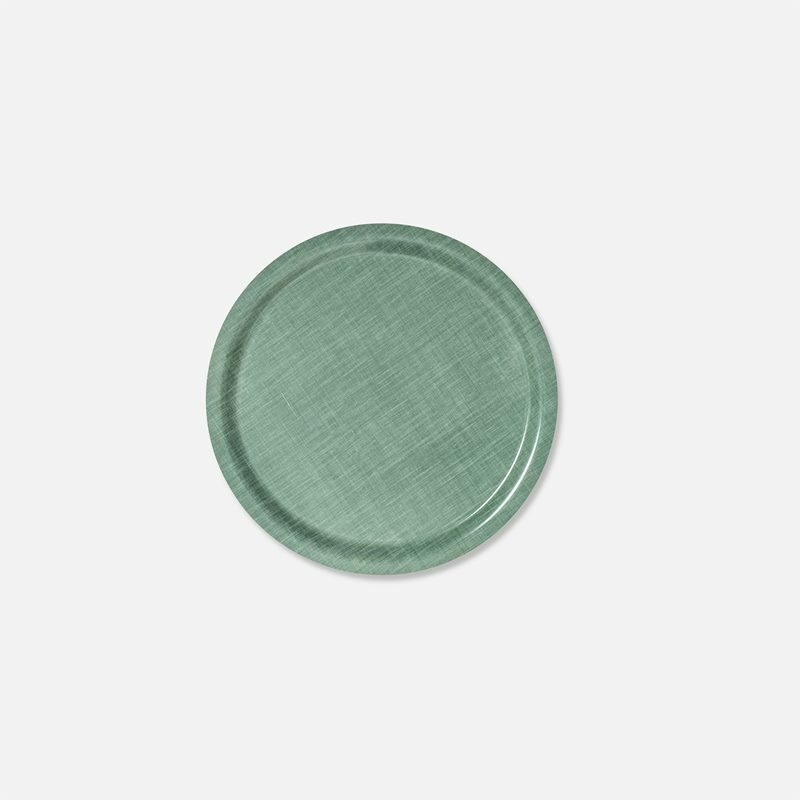 Combine a round tray with a beautiful tray stand in steel, or a rectangular tray with a tripod stand in walnut. 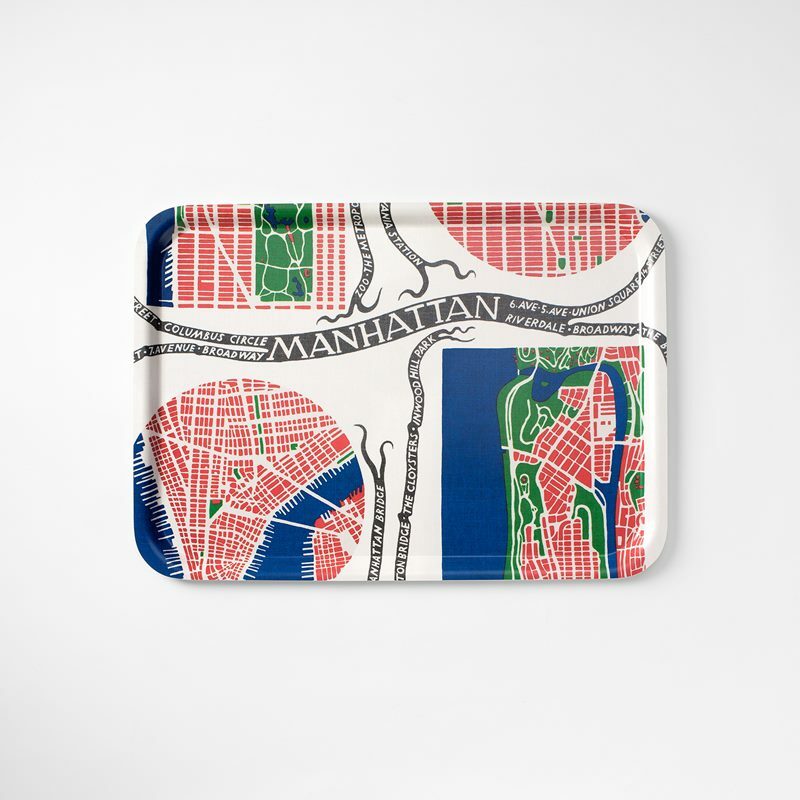 By uniting your personal favourites, you can create a unique and original tray table. 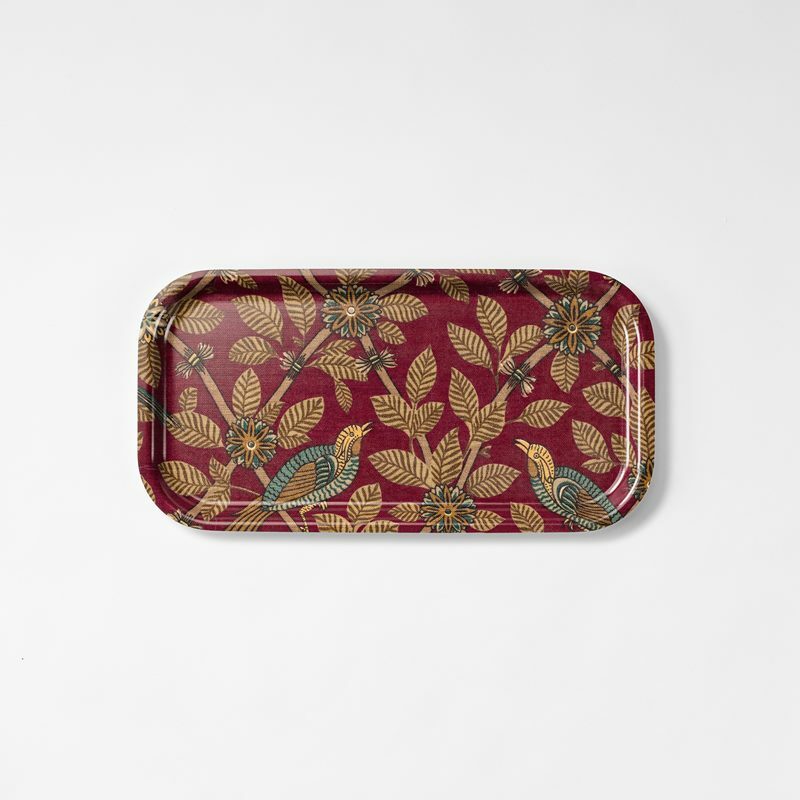 All of the trays in the range make beautiful gifts. 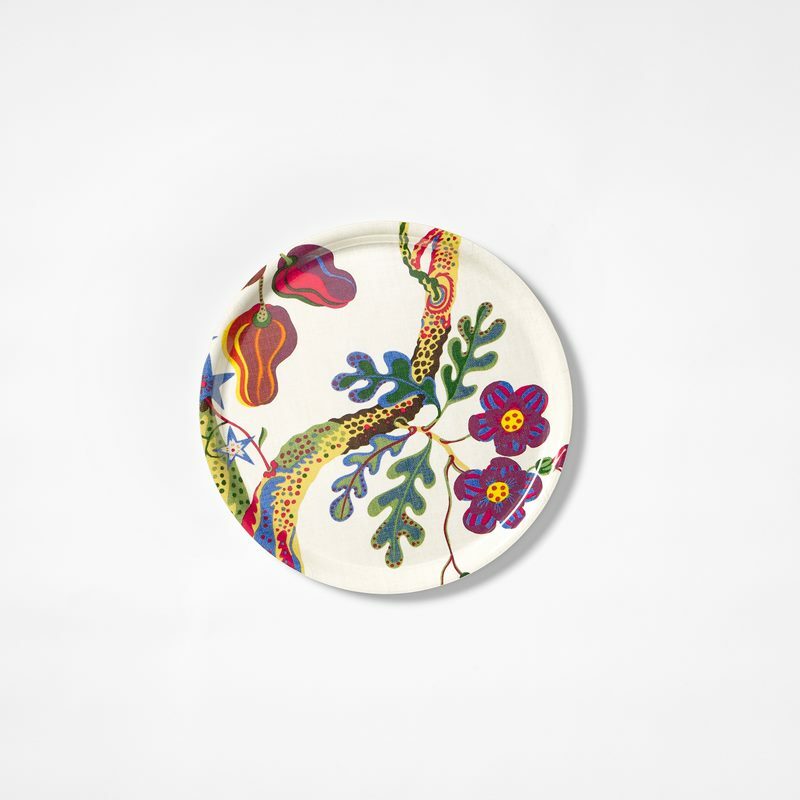 Appreciated for their colourfulness and uniqueness – loved for their variety and vibrant prints. 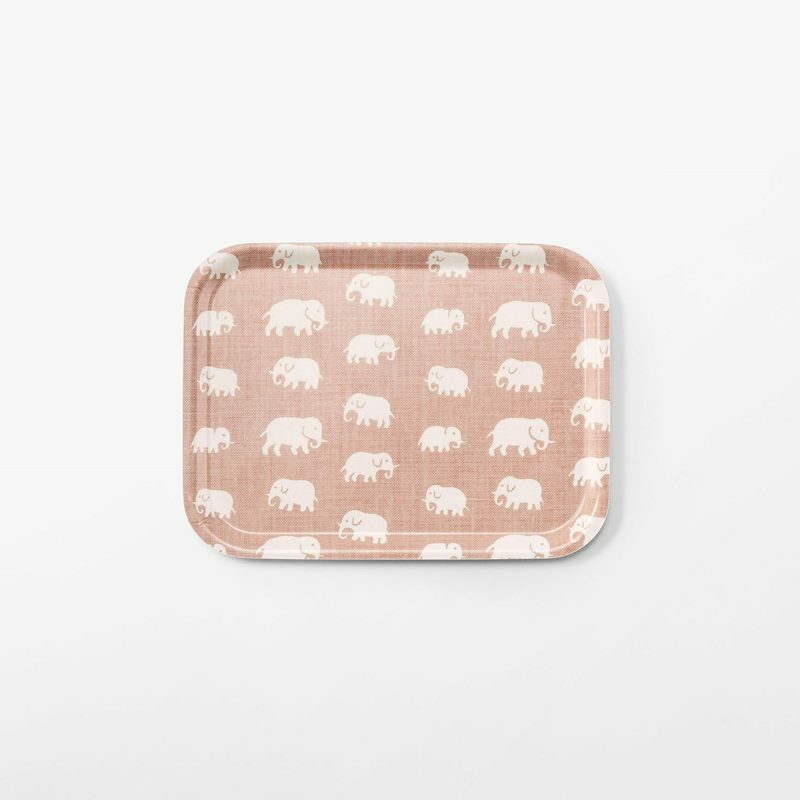 Discover the tray that will become your favourite, online here at Svenskt Tenn.
Svenskt Tenn’s popular trays are handmade in sold birch veneer. 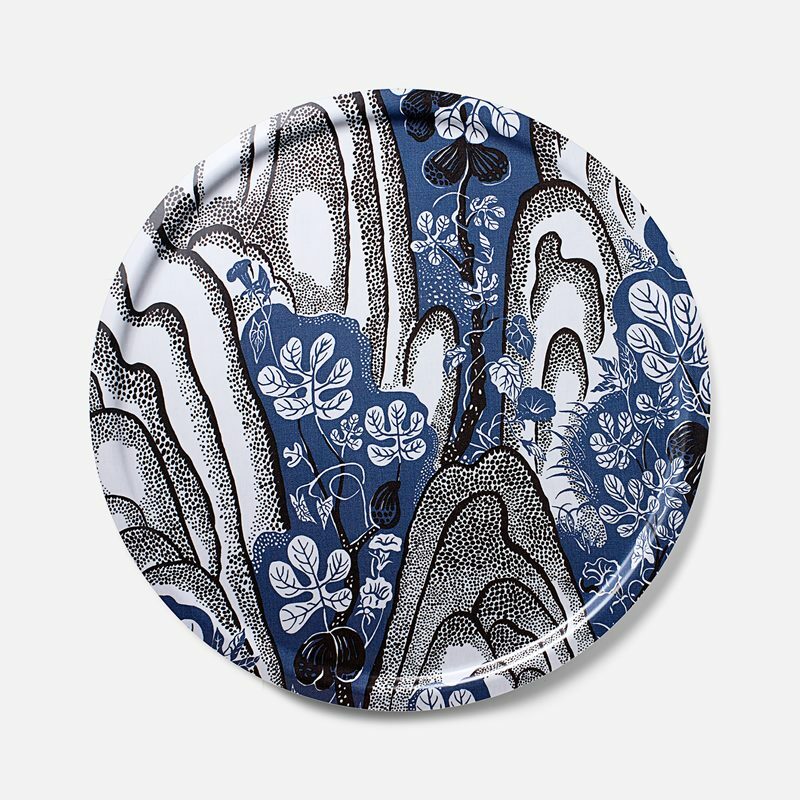 Josef Frank and Estrid Ericson’s prints are on a number of the trays while others, as for example “Tray Svenskt Tenn Linen”, is laminated in Svenskt Tenn’s linen. 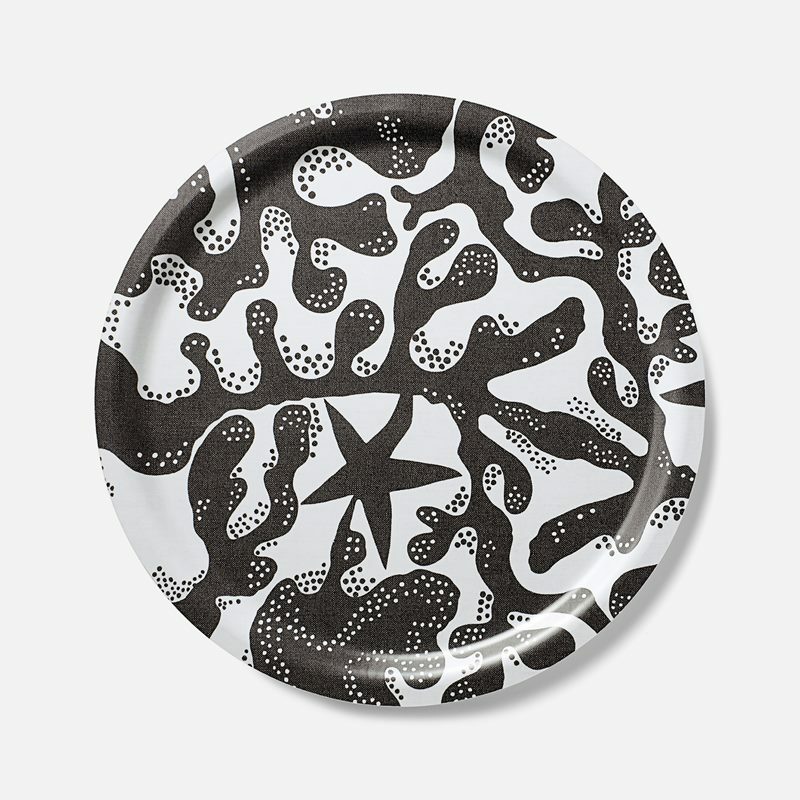 It was Svenskt Tenn’s founder, Estrid Ericson, who began laminating fabrics onto trays, as early as the 1950s. 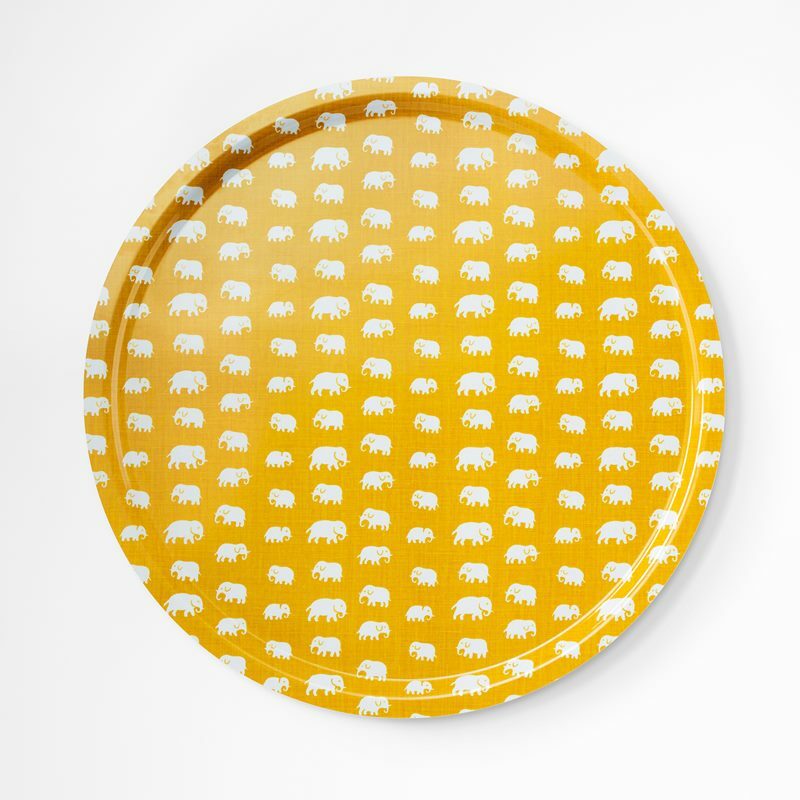 With this lamination, every single tray gets a personal touch and a vibrant surface. 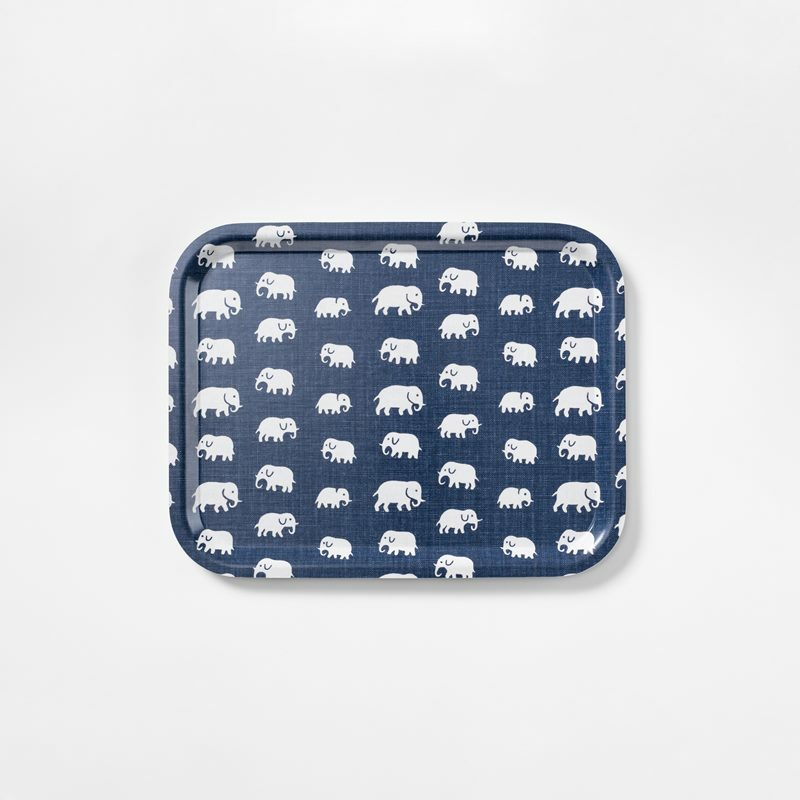 Some of the trays in the range are also made in stainless steel. 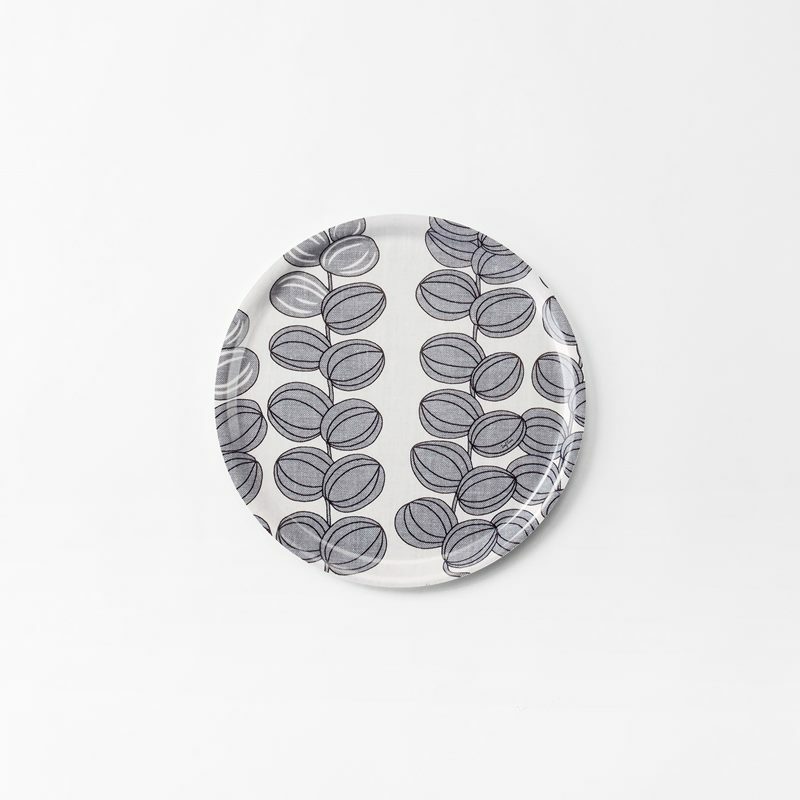 Both the round and the rectangular wooden trays at Svenskt Tenn are available in different sizes, partly to fit the frames of the tray table, but also in order to be able to use them for various occasions. 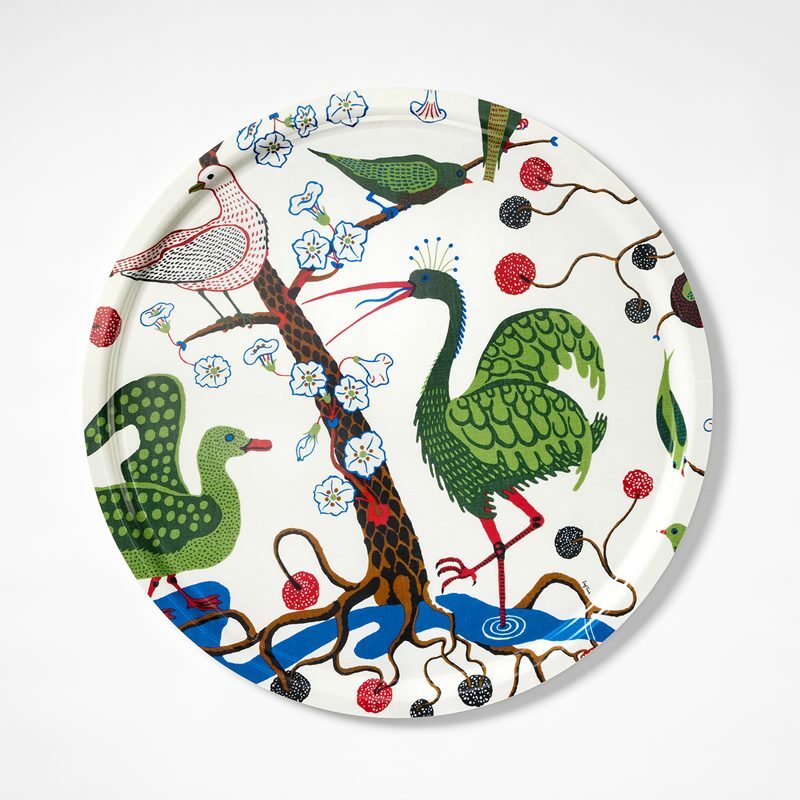 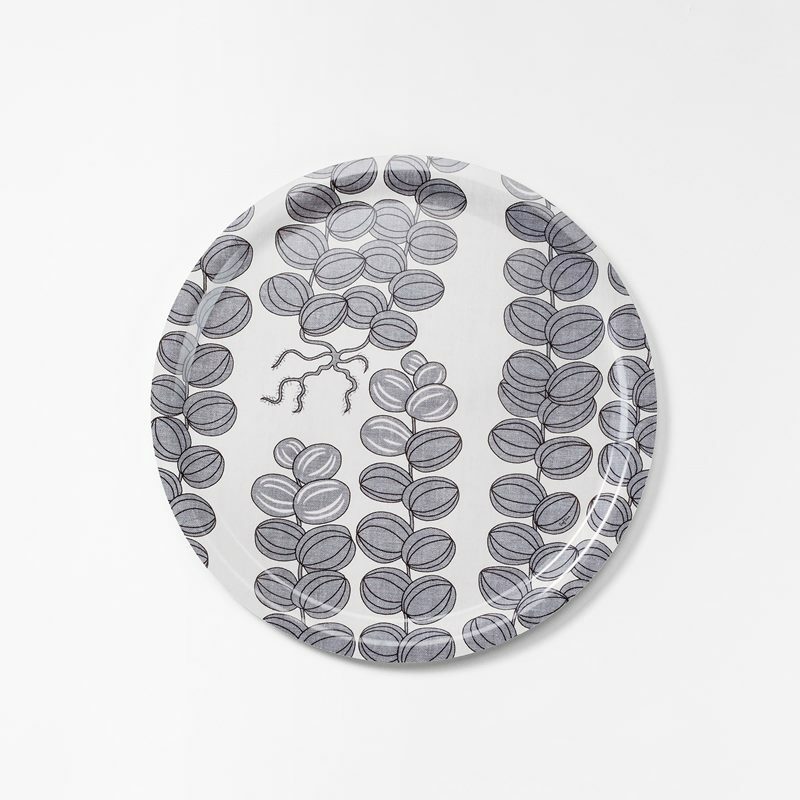 The bottom of the tray is stamped with the name of the designer and the print, along with Svenskt Tenn’s iconic seal.